This adapter is 6 inches in length and consists of a DVI female on one end and an HDMI male on the other. 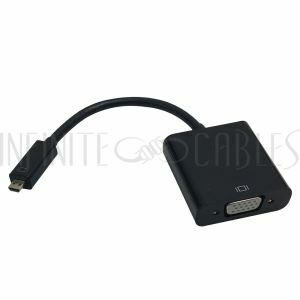 It is primarily used to convert a DVI-D male cable to a HDMI male cable. 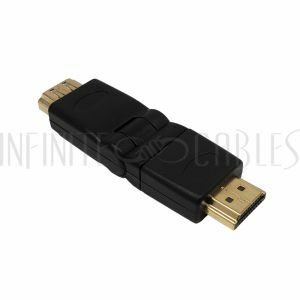 This adapter consists of a HDMI female on one end and a HDMI female on the other. It is primarily used to connect two HDMI male cables. This adapter consists of a HDMI male on one end and a HDMI female on the other. It is typically used to convert a HDMI male cable to a 90° end. This adapter consists of a HDMI male on one end and a HDMI female on the other. It is typically used to convert a HDMI male cable to a 270° end. This adapter consists of a HDMI male on one end and a HDMI female on the other. It is typically used to convert a HDMI male cable to have the flexibility to adjust to any angle. This adapter consists of a DVI-D male on one end and a HDMI female on the other. It is typically used to convert a HDMI male cable to a DVI-D male cable. This adapter consists of a DVI-D female on one end and a HDMI male on the other. It is typically used to convert a DVI-D male cable to a HDMI male cable. This adapter consists of a Mini DisplayPort male on one end and a HDMI female on the other. It is primarily used to adapt a 4kx2k Mini DisplayPort source to a HDMI display. This adapter consists of a DisplayPort/Thunderbolt v1.1a male on one end and a HDMI female on the other. It is used to connect a DisplayPort source to an analog HDMI display. It does not work from a HDMI source to a DisplayPort monitor. This 6 inch adapter consists of a Mini DVI male connector on one end and a HDMI female connector on the other. It is typically used to connect a Mini DVI source to a HDMI display. 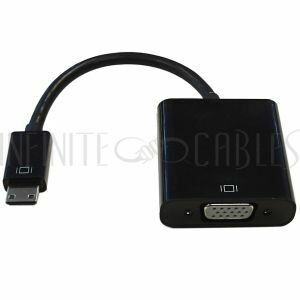 This adapter consists of a DisplayPort v1.2a male on one end and a HDMI v1.4b female on the other. It is used to connect a DisplayPort source to an analog HDMI display. It does not work from a HDMI source to a DisplayPort monitor. This adapter consists of a HDMI male on one end and a DisplayPort v1.2 female on the other. It is used to connect a HDMI source to a DisplayPort monitor. It is also equipped with USB A male plug for additional power in the instance there is not enough power supplied from HDMI source.